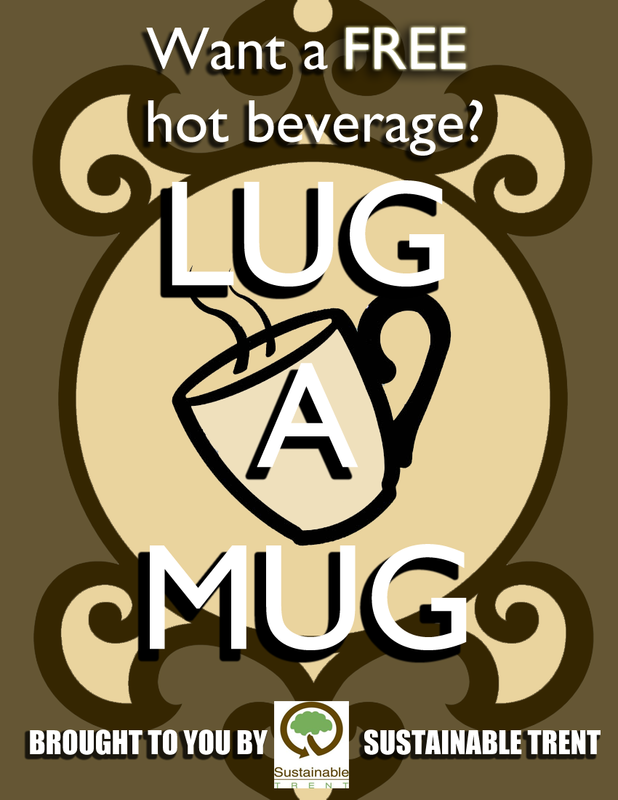 Lug a Mug | Advocating for sustainability and environmental justice. Lug a Mug, and you might just run into one of our free coffee stations! Sustainable Trent has begun randomly offering free coffee to anyone with a reusable mug one day a week at our “free coffee stations”! In order to encourage people to bring mugs each day, these free coffee stations will be popping up with limited advertising, but will always be offered outside Wenjack Theatre. They are part of a program called Lug A Mug, created by ST to encourage the Trent community to always carry a reusable mug in order to cut down on unnecessary waste. This program functions as an incentive for those who practice environmentally conscious behaviour.